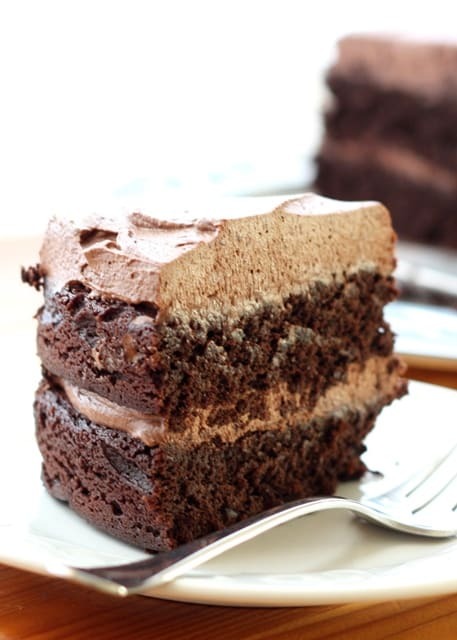 This Chocolate Quinoa Cake has blown my mind. Just writing about it here makes me grin as I think about how perfectly moist, rich and chocolatey it is. When I first saw this recipe, I did a double take because I had never before run across anything quite like it. A flourless chocolate cake made with quinoa? 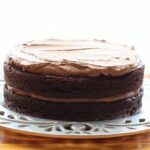 I make a Flourless Chocolate Cake at least a couple times a year and it is one of my favorite recipes. The Chocolate Quinoa Cake on the other hand, has the texture of a traditional cake, yet with no special flours required. All you need is a couple scoops of cooked quinoa. This cake wowed both my family and our dinner guests who are accustomed to eating traditional sweets. Even knowing that the cake was made from quinoa, I couldn’t detect an odd taste or texture. 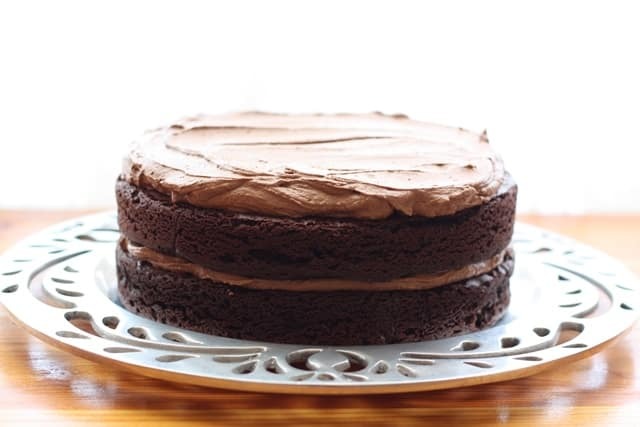 This is pure, sweet and tender chocolate cake. After eating a slice the next day for breakfast, I sent the rest of it to the office with my husband. This is a very dangerous cake. Kitchen Tip: I use this blender or this food processor to make this recipe. Combine the milk, eggs and vanilla in the blender or food processor and pulse a few times to combine. Add the cooked quinoa and the butter and puree until completely smooth. Stop the machine as needed to scrape the sides and make sure everything is well mixed. This will be a thick and creamy consistency once the quinoa is pureed. (You should not see any little beads of quinoa in the pureed mixture.) 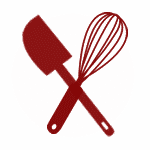 Whisk together the dry ingredients in a mixing bowl and add the contents from the blender. Stir until well combined. Divide the batter evenly between the two cake pans and bake on a center oven rack for 28-30 minutes, until a toothpick inserted comes out clean. Remove the cakes from the oven and let cool 10 minutes before inverting them onto a wire cooling rack. Peel off the parchment and let the cakes cool completely before frosting. Place the chocolate chips in a medium size glass bowl. Heat the cream in a medium saucepan until is gently simmers. Remove from the heat and pour over the chocolate. Let the mixture sit for 5 minutes or so and then whisk to combine until it is smooth and glossy. Refrigerate and let cool completely. (2-3 hours in the refrigerator or about an hour in the freezer.) When fully chilled. use a mixer to whip the chocolate cream into soft peaks. Place one cake layer upside down on a plate. Scoop half the frosting onto that layer and gently spread it across almost to the edge. Place the other layer on top of the frosting and top with the remaining frosting. You can frost the sides if you like, I chose to leave mine simple. Chill 2-3 hours before serving to allow the frosting to set. Enjoy! Hi, Mary! could I use a bundt pan to bake this in? thanks!! I've never tried this cake in a bundt pan. I can't think of any reason why it wouldn't work, but I can't say for sure. If you do try it, please let me know how it turns out for you! Wonderful cake, beautifully moist. I added in a tsp of instant coffee to enhance the chocolate flavour. A true keeper of a recipe. Made this cake for years...it's my go to cake recipe. All my family love it and the people at work are demanding that I make it again for our next event. I don't normally leave comments, but this cake is just so darn good!!! This chocolate cake was delicious BUT mine didn’t raise?? Any suggestions?? Help!! Mine didn’t either :( any luck? Making this cake in a bundt pan as I type this. Going to turn it into a half-bundt to make a rainbow cake for my gluten-free daugther.I will report back but I know the cake itself is DELICIOUS as I've been making it as cupcakes for years. Cake so good you'd never know it's gluten-free. Hi, when you make it as cupcakes, do you bake for the same amount of time? This is my go to offering at parties. Several of my friends make it now, too. I served it at a graduation party last night and it was a hit! I serve it with powdered sugar on top, like brownies. Kids and adults love it!! Can this cake be successfully frozen? Yes! I froze some leftover cake, and when I took it out I left it on the counter to defrost. It was still awesome. I also tried warming it in the microwave for about 30 seconds or so. A-mazing!!! This is the best cake ever!!!! Hi! Can you substitute the sugar for something unrefined? Such as coconut sugar? Thanks! Oh and could you sub coconut oil for the butter? Or will it not come out as amazing? Just trying to see if I can healthify it a little more! Thanks! I have successfully used coconut sugar , coconut butter and even powdered strawberries instead of cocoa and the cake has turned out beautifully every time. Best recipe ever! I love Quinoa! So of course I will be making this cake. I am getting my family to eat Quinoa. Is the batter meant to be really thick? I tried to make this today and it didn’t turn out quite right. Just trying to figure out what I did wrong. I have been making this cake for years and everyone just loves it and often requests the recipe. I now just normally make it in an 8 x 13 glass pan. I found it the batter too thick, but now add about 1 cup of milk and it turns out beautifully. I also bake it for about 35 minutes. It does drop a bit, but no one sees it as it has the topping on top. I was even asked about the topping yesterday as it suits the cake so well. You won't be able to make this cake just once!! Can you make the cake ahead and freeze it? I don't remember whether I've frozen it in the past. It should work fine though. Hello! Could I use quinoa flour instead of cookie quinoa? Thank you! My roommate loves this cake and i wanted to see if i could use the flour this time around. I honestly have no idea how that might work, Natalie. I've never tried that. This was delicious!!!! Better than cake with flour and not too sweet!! I'm so happy you like it, Stephanie!